Medical conditions are classified under either Diagnostic and Statistical Manual of Mental Disorders, currently in its fifth version (DSM-5) or International Classification of Diseases, tenth revision (ICD-10). They are the two international systems for classifying the illness in the US and World Health Organization's (WHO) member nations. DSM-5 contains diagnostic criteria reserved for mental disorders such as schizophrenia, depression, eating disorders, substance-related disorders etc. On the other hand, ICD-10-CM is a HIPAA-approved diagnostic code set reserved for classifying other illness associated with gastrointestinal, genitourinary, musculoskeletal, gastrointestinal, respiratory, etc. ICD-10 system shares some codes with DSM-5 although they are strictly unrelated. Read ahead to learn the major differences between ICD and DSM systems. Why Is Dual System of Codes Required for Disease Classification? One look at the ICD-10-CM coding system gives an impression that DSM-5 is almost an unneeded classification. However, that isn't the case. The DSM-5 gives clinicians with criteria and definitions to classify diseases symptomatically through a common language. Not only does it help in quick classification and diagnosis, but also streamlines patient care. After successful diagnosis, ICD-10-CM assigns a code number that is useful during the reimbursement process, statistical compilation, and for further documentation and reporting purposes. Not all diagnosis classified under DSM-5 is covered by ICD-10-CM. For instance, Under DSM-5 classification, dementia is considered as a major neurocognitive disorder or a minor one. However, it is unlisted in the ICD-10 code classification because it does not cover mental disorders in depth. It is one of the top differences between ICD-10 and DSM-5 systems. In such cases, it is essential to have an internal coding system that would allow specific diagnosis of neurocognitive disorders to assign the code. In psychology and psychiatry, there are fewer crosswalks. Perhaps because coding isn't straightforward and it is impossible to have a one-stop solution coding guidance. But then how to have a distinction between diagnoses? The DSM-5! It helps in providing usable definitions because creating crosswalks on commonly used codes can be tedious, but DSM-5 offers a crosswalk between ICD-9 and ICD-10. This is because it represents code sets for several key diagnoses. In a head-on comparison between ICD vs DSM, International Classification of Diseases (ICD) is a well-accepted global coding system used by clinicians for categorizing all health conditions because it is a code bible for all diseases, symptoms, abnormal findings, and reporting. But DSM is a coding system for diagnosis of mental disorder. Every “psychiatric disorder” is classified under “mental and behavioral disorders.” This classification is useful for diagnosing those under psychiatric care. The latter is more accurate because of its immense contribution to research and common language. American Psychiatric Association (APA) is collaborating with ICD-10-CM contributors for including the latest codes from the DSM-5 system. They were keen to classify social pragmatic communication disorder as code F80.82 under the ICD-10-CD. No doubt that there will be instances ahead where more DSM-5 codes will align with ICD-10. But that is not to say they will mirror diagnosis information in every manner. In the real world, the ideal way to deal with this scenario is to have an internal coding policy that will allow clinicians to include descriptive information of the diagnosis rather than plain codes. 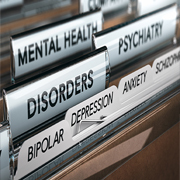 Similarities and differences between ICD-10 and DSM-5 are many. It provides a wealth of information to clinicians for classifying diagnosis and aiding. It is essential for clinicians to classify neurocognitive disorders with the right set of names and descriptions rather than simple codes. The specificity of coding details from diagnosis documented in ICD-10-CM had enhanced significantly after its implementation in 2015. Currently, the development is headed towards the 11th revision (ICD-11) which will be endorsed in 2018. ICD-10 system of code was frozen with strict rules preventing future modification. However, it soon became clear that the system needed expansion for covering more codes in depth. Outsource2india is an ISO-certified organization which carries 20 years of experience in medical billing and coding services. During this time we have acquired innovative technologies, updated implementation methods, and tackled challenges as they come. We take pride that our solutions have resulted in several success stories. Our cost-effective medical coding services can help you minimize operational expenses by a huge margin. Whether it is following up on pending medical claims, tracking receivable balances, or initiating collections we have got it all covered through our top-quality healthcare BPO services and 24/7 support. So, you will no longer face worries about training new employees, no staff turnover, low accuracy, and much more. Connect us to grow your ROI through our latest medical billing and coding services. Our experts can provide a quick quote in 24 hours.